Pastel on pastel card. 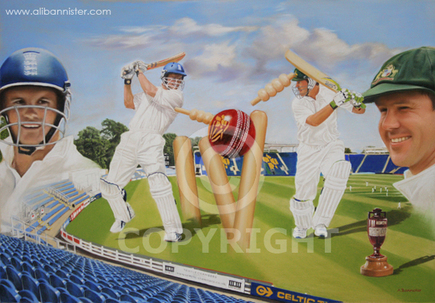 Drawn to commemorate the Ashes being played for the first time in Cardiff. A framed print was presented to each captain by the sponsors. Prints are from a limited edition of 500.